War games have been popular long before the Nerf gun ever hit the market. But you might remember your own parents strongly discouraging you from playing with toy guns out of fear that it would cause violent behavior. In spite of that, though, you probably played war games with other kids in your neighborhood. You had your thumbs up and aimed your pointer finger at your opponent as you made a little shooting sound; or you and your playmates improvised and made your own toy weapons from materials you found lying around. Chances are, some parents you know now have also discouraged their kids from playing with toy guns for the same reasons. Psychologists, however, have had a difficult time finding a direct correlation between toy guns, war games, and growing up violent. It seems that there are other factors that come into play than just playing at war. In fact, playing Nerf war games with your kids (or allowing them to play with their friends) has some actual benefits. 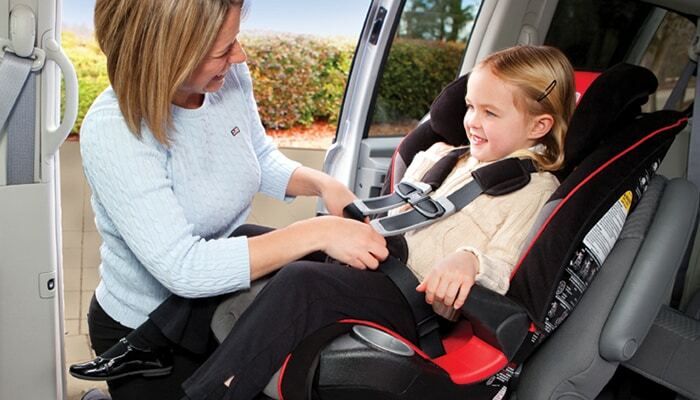 Note: We at ParentsNeed HQ completely respect your decision as parents. We are in no way advising you to buy toy guns if you have banned them for your own children. We are merely providing information to those parents who see it fit to allow their own children to play war games. One benefit of playing Nerf war games is that it gets children active. If you allow them to play war games on their game consoles, then it is the same thing to allow them to get off the couch and play a real game. They get to run, crawl, kneel, and jump, all while trying to aim and shoot at an opponent or dodge a shot. The difference is that when they play a Nerf war game as opposed to on their game consoles, they are fully physically engaged without being exposed to gory graphics. Another benefit is that it fosters team work and teaches them to set goals with other people, making it a highly social activity. They get to learn how to leverage individual team member’s strengths and compensate for weakness in order to win the game. If your whole family is in one team, you can teach your children about strategy, planning, and how to follow rules. They will learn that in a crisis, not following the chain of command may be the difference between winning and losing. A third benefit of participating in Nerf wars is that you get your children exposed to thinking under pressure. With opponents coming at your team from all sides, you have to make quick decisions that will seal their fate. Feeling this pressure will prepare them for other stresses as they grow up and will allow them to cope better. Playing war games teaches kids about friendly competition and how sometimes they may win or lose. By experiencing both winning and losing, they can learn about good sportsmanship when they lose or about being gracious when they win. Ready to Join a Nerf Game? Not so fast! The first thing you need to participate in a game is, of course, a Nerf gun! So we have prepared this guide to help you choose among so many models that Nerf has put out in the market. You will first have to consider your fighting style, the type of gun, and the available ammunition. The first thing you would like to consider when buying a Nerf gun is your fighting style. Do you like to get in the center of the action and go for your enemies with reckless abandon? Or do you like to hang back and wait for your enemies to take the fight to you. Whatever your fighting style, there is a Nerf Gun for you. There’s a war game out there! You can’t be expected to just sit back and do nothing! So you’re out in the battlefield, an open target for anyone with enough range to get you. They know about your aggressive devil-may-care fighting style and hope they can use it against you. But you know better. You know that this is not the day that you are leaving the battle early because your gun is as berserk as you. You are cool and oh-so-calm on the battlefield. You must be, because your concentration depends on it. You aren’t one to go out there for a hack and slash adventure. In a war game, you let your enemies take each other out, and you can deal with whoever is left. Your teammates depend on you to cover them from your lofty position – with your gun at the ready. In your mind, the way you win the game is not to outgun your enemy. It is to outlast them. Going out there and blasting everyone in sight is just so wasteful and so… unsophisticated to you. Sure you like to be out there and get your share of the action, but must you be so loud? Must you use too many darts? No, that’s not you. You like taking your opponents out cleanly with just one shot. And you do this by moving quickly and undetected; getting close enough so you don’t miss. You love the element of surprise and no one in the game is better at using it than you. You don’t have a real identifiable fighting style, but you enjoy the game and you get things done. You are a versatile fighter who likes to assess the situation and you adjust your game accordingly. That Nerf gun you are holding isn’t the perfect one for your style. . . yet. But it will get there by the next game because you know how to do it. Your Nerf gun shopping priority: customizable. Once you have determined how you want to play, you should now be able to choose among different types of Nerf guns. If you and your kids are joining a league, you should find out first what specifications your Nerf gun is supposed to have so that you don’t go buying a gun that is banned in your league. In general though, Nerf guns fall into four specific classifications. The pistol is by far the most popular type of Nerf gun. It is light and handy, requiring only one hand to shoot it. It allows you to shoot only one dart at a time, but some models are very versatile and will allow you to use different kinds of ammunition. These guns are also the most inexpensive and they allow the most upgrades and modifications after sales. Pistol type Nerf guns are great for stealthy players who like to sneak up on their opponents; or as a secondary Nerf for those with other fighting styles. The rifle type guns are bigger than the pistol type. Though they are not heavy by any means, they require two hands to shoot one dart at a time. They have a longer range than pistols and have larger magazines. This means that you can load up more ammunition at one time. These features make the rifle type Nerf guns really popular in competitive leagues, but they are more expensive than the pistol. The Nerf shotgun type multiplies the fun big time! Not only do they let you carry more ammo, they also let you fire more darts with a single shot. For you commandos out there, this where you want to start looking because this will be the minimum requirement for your hack and slash fighting style. Special guns include battery operated machine guns, bows and arrows, and hold out pistols. Aficionados and competitors like buying the special guns and modifying them to suit their personal fighting styles. You might like to pick a special gun and one of the more basic guns as primary and secondary weapon if you are serious about competing. Whatever you wish to do, Nerf has you covered. If you ever find yourself confused by more than one Nerf gun, you might like to make your choice according to your choice of ammunition. Some guns fire just one kind while others are compatible with multiple kinds. But you would like to choose a gun with ammunition that is widely available and in constant supply. You will know what kind of ammo your gun supports by looking at the package. Wear goggles to protect your eyes while playing. Even though a Nerf gun is a toy, teach your kids about handling guns safely. They should learn not to look down into the barrel, not to put their finger on the trigger unless they are ready to shoot, keep the gun pointed at the ground when they are not aiming at anyone, not to leave the gun lying around if it is not on safety, etc. As mentioned earlier, while playing is the perfect opportunity for kids to learn. 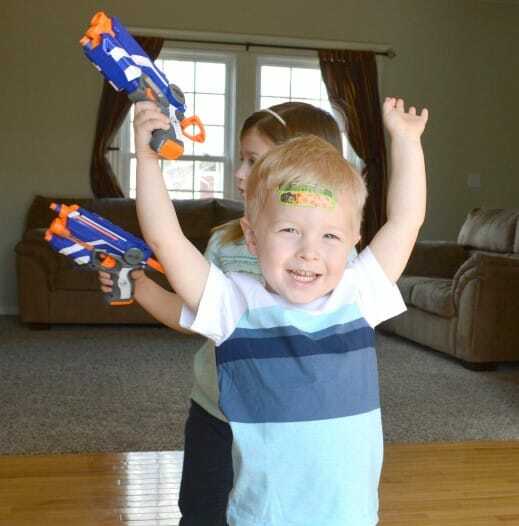 Even if they like to play stealthily, don’t allow your kids to sneak up on someone and point the Nerf gun to their head. Shooting opponents in a war game is okay. But never shoot at anyone outside of the game – unless it is someone familiar and you know that they don’t mind. Never paint the Nerf gun black and never remove or paint the orange tip. A Nerf gun should not be made to look realistic so that authorities will not get the wrong idea about the toy gun. There are different fighting styles, but they will all benefit from a gun that shoots quick and reloads quicker. For that we have our top pick: the Nerf N-Strike Elite Rampage Blaster. Whether you like to take the fight to your enemies or lay back and wait for them to come to you, you will benefit from this rapid fire model that shoots a whopping 26 darts at the pull of the trigger. The best part is that while it is already awesome out of the box, it is fully customizable so you can make it even better. Not convinced? Well, if you still think our favorite Nerf gun isn’t for you, go on over to our reviews of the Top 5 Best Nerf Guns. We are sure one of them will be your perfect weapon at the next war game.